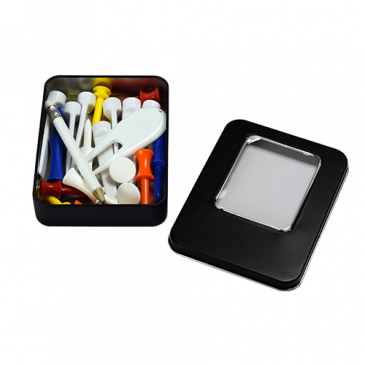 Our Rectangular Black Matte Tins feature a clear window that allows for easy viewing of the contents and contains a small accessory for every game occasion. Perfect for keeping all those tees handy. Tin - 85mm x 115mm x 20mm lid off. Height 22mm with lid on.